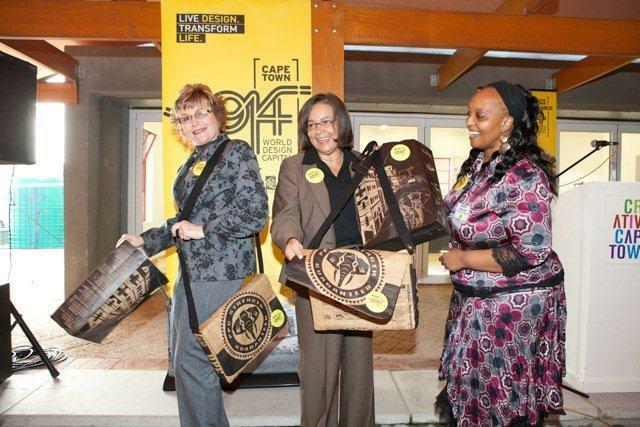 Last week Monday Western Cape Premier, Helen Zille and Mayor, Patricia de Lille were presented with Wren PPC Cement Laptop Bags when the Mayor handed over the World Design Capital 2014 bid book to the Premier. Cape Town’s bid is the first by an African city and we are running against 53 cities from 24 countries. To show your support download the button, or wear one. With each PPC CEment Laptop Bag purchased from the Wren Design from next month you will get a free WDC2014 button. Wren supports Cape Town in it’s bid and so would you by sporting Cape Town design in the form of a PPC Cement Laptop Bag. For me this bid is important in breaking the misconceptions of what Design is. So often Design is pushed aside by management and others in many fields and not given the support it needs. This is purely from a lack of understanding of what it is, and what it can offer. Design CAN “improve the quality of life for all” if given a chance. It is not pretty pictures (although these in their own right make life more wonderful), good design improves user experience with objects and services that we intereact with everyday, it challenges boundaries and pushes for the best in every situation be it a social problem or a corporate decision. 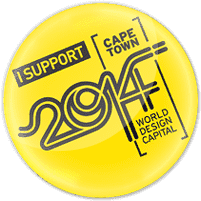 Design has a lot to offer … let Cape Town show the world how much good design we have to offer and what positive difference it can make. This entry was posted in Blog and tagged bid book, bid book presentation, cape town partnership, cape town world bid, cape town world design capital, capital, cement laptop bag, helen zille, laptop, Laptop bag, mayor of cape town, patricia de lille, PPC Cement Laptop Bag, world design, world design capital, Wren. Wow! I´m so impressed!That´s fantastic for you Wendren and a big event!